Superdry men’s Flex 360 Shell Pants. Hit the slopes in style with the Flex 360 Shell pants, featuring a zip fly fastening, two zipped front pockets and one zipped back pocket. The pants also feature a hook and loop adjustable waist and detachable ski braces, meaning you can customise the pants to your perfect fit. 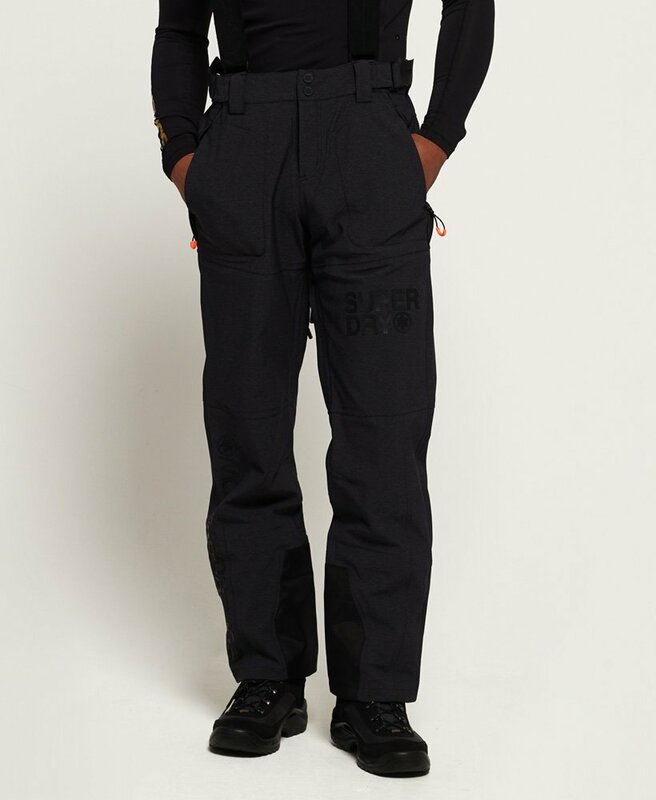 Coated zips and ankle gaiters help to keep the snow out, while the zip ventilation detailing in the legs makes it easy to cool down as you work up a sweat. The Flex 360 Shell pants are completed with Superdry Snow logo detailing down the legs and a rubber Superdry Snow badge on the back of the braces.